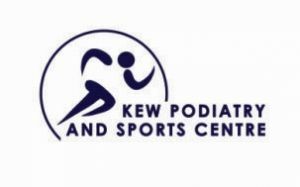 At Kew Podiatry and Sports Centre, we have extensive and leading experience in all aspects of podiatry, physiotherapy and lower limb healthcare. With many of our staff closely involved in sports, our clinic boasts a significant advantage when it comes to sports podiatry and physiotherapy. If you are worried about how your body is handling the ongoing stress of athletic competition, or if you suffer a sudden injury while playing, come and secure an appointment at Kew Podiatry and Sports Centre as soon as you can. We will use the latest detection and analysis methods to pinpoint your exact troubles and put you back on the road to recovery. Our podiatrists treat a range of pathologies, including sporting or biomechanical injuries, ingrown toenails, children’s feet, knee pain, heel pain, as well as providing general skin and nail care.